Platform as a Service is mostly free for the small scale App, CMS Hosting. New users must be careful about Cloud Computing Disaster Recovery as users of PaaS. We published about Cloud Computing Disaster Recovery due to Increased demand, as somewhat false promise of Platform as a Service is productivity. Platform as a Service providers like Heroku claim to increase productivity by abstracting the user from the details of the underlying infrastructure and they go further up and claim that the Platform as a Service makes the cash redundant applications. You might know about the historical service interruption aka full shut down encountered in summer this year by Heroku, because of Amazon, which is their rented Infrastructure. When we move to Platform as a Service, we still need to understand how the supplier of PaaS does disaster recovery or rather has the options, and what are the procedures for scalability. Heroku obliges us to approach the highest common denominator, having to do with continuous availability and scalability. In reality, however, there are many trade-off between scalability, performance, and high availability. The best trade-off between these depends substantially on the application, then find a compromise at the highest common denominator between the various factors may be less productive and more expensive in the end. Platform as a Service is designed to provide greater productivity to run your applications on the cloud, abstracting the details of how to run our application by the application developer, out of the box. 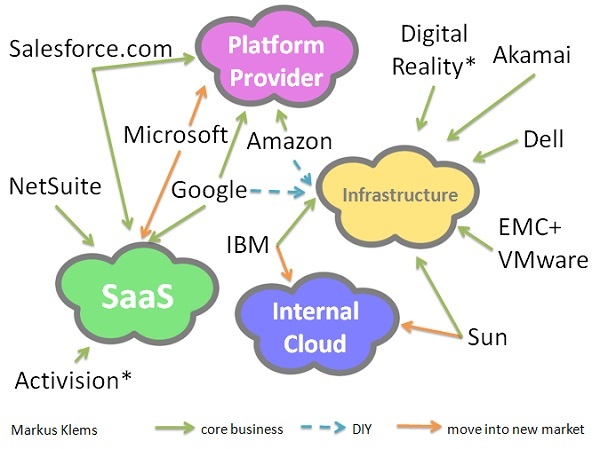 This black box approach of many public Platform as a Service offerings has the problem that it is still a tight coupling between what the application does and how it is performed. A new class of Open PaaS platforms such Cloudify, CloudFoundry, and OpenShift offer an alternative open source different that gives you more control of the underlying platform; Cloudify goes even further, providing a model that integrates with open recipe Chef, allowing you to customize and control your operations without sacrificing developer productivity. But failures are inevitable and often occurs in the most unexpected failure of Infrastructure as a Service. If the application you want to host and is paying, it is better to use the infrastructure directly from the original brand like Rackspace or Amazon, infrastructure actually in most cases is just a virtual private server and Cloud Database. This Article Has Been Shared 8219 Times! Cloud Computing Storage Companies provide always available online storage services. Some Cloud Computing Storage Companies provide limited free, some are paid. Cloud Database provides full access to use the database for your website hosted on a Cloud Server. Advantages are pay as you go model and scalability. Building Your Own Data Center can be very cheap or highly costly, it depends on your specific need, security and load. Most get confused with similar words. Cite this article as: Abhishek Ghosh, "Platform as a Service : Careful About Disaster Recovery as User," in The Customize Windows, October 12, 2012, April 24, 2019, https://thecustomizewindows.com/2012/10/platform-as-a-service-careful-about-disaster-recovery-as-user/.